Members of the Union High School Class of 1972 assemble for a class reunion photo (Click for a larger view). Front row, from left: Ralph Weikel, Dean Bostic, Barbara McNeil Holesapple, Kathy Hinkle Martin, Nancy Doss Hefner, Doris Ann Lemons Taylor. Second row: Lisa Roles Jennings, Chuck Weikle, Johnny Kanode, Michael Wickline, Sarah Jane Ballard Dudley, Rhelda Kountz Kirk, Doug Blankenship, Rick Vass, Wilson Bland, and Tom Bone III. 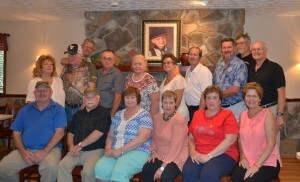 UNION – Conversations filled the room as the Union High School Class of 1972 held a 45-year reunion on July 15, 2017 at Kalico Kitchen in Union. There were 16 members of the 72-person graduating class in attendance, along with spouses and other family members. Several other members of the class sent greetings, relayed by those in the room. 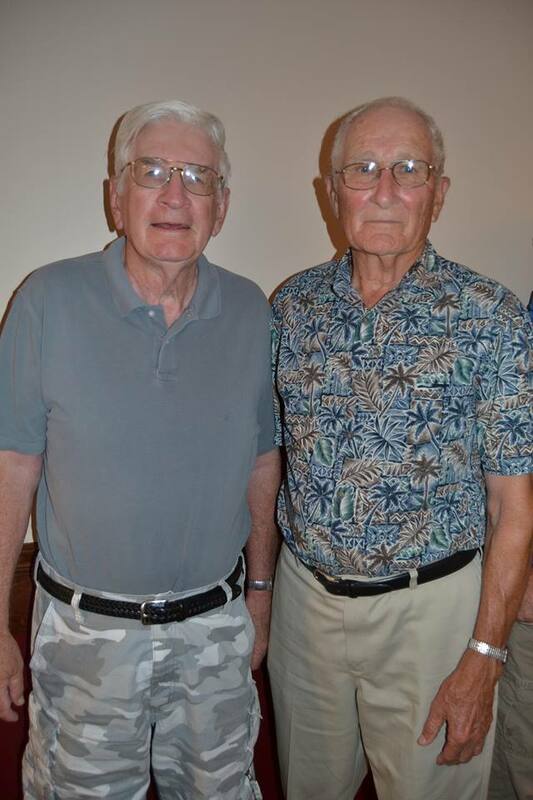 The festivities included two members of the UHS faculty from 45 years ago, Charles Larew and Kyle Baker, who also served as principal at Union High. Prior to the supper meal, each attendee had the opportunity to bring the rest of their fellow alumni up to date on their activities. Many had recently made a transition into retirement and all were still enjoying good health. The invocation for the meal was provided by Fred Taylor, II. The reunion was coordinated by Doris Ann Lemons Taylor. 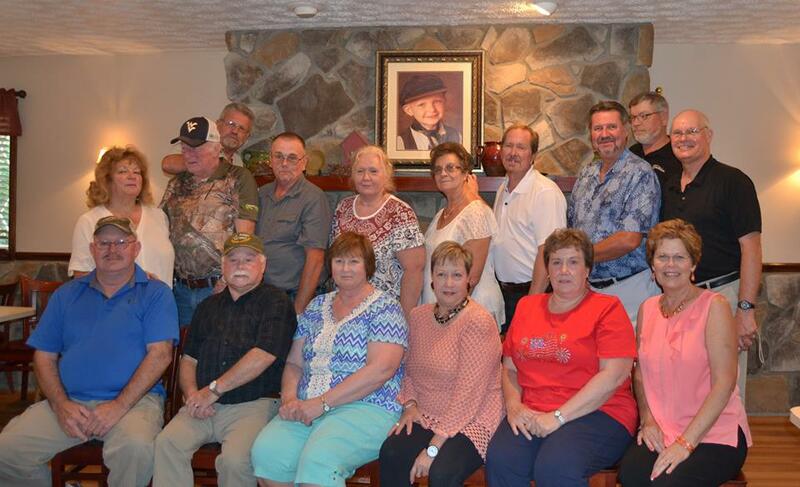 The reunion committee included, in addition to Taylor, Chuck and Gail Weikle; Kathy Hinkle Martin; Lisa Roles Jennings; Barbara McNeil Holesapple; and Tom Bone III. Even before they left the restaurant, members were already looking forward to a 50-year reunion in 2022. 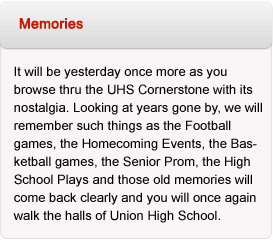 Written and submitted by Tom Bone.